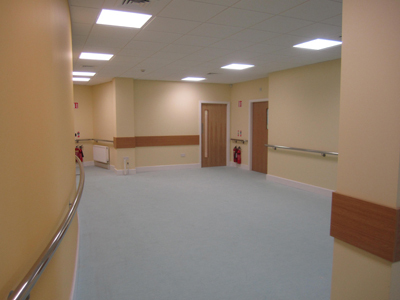 This new modern 40,000ft² medical facility was developed to facilitate GP Practices and medical suites in Carlow town. The HSE are also providing primary & community services within this new centre to the public. The role of NLCE in this project was the design of all specialist medical services, including nurse call systems, medical gases etc. Also general building services such as lighting, power, fire detection services, lift, security, heating and plumbing. NLCE staff also completed an extensive thermal model of the building to minimise the energy consumption of the building and therefore make the building a sustainable one while also reducing the long term costs of utility bills for the client.